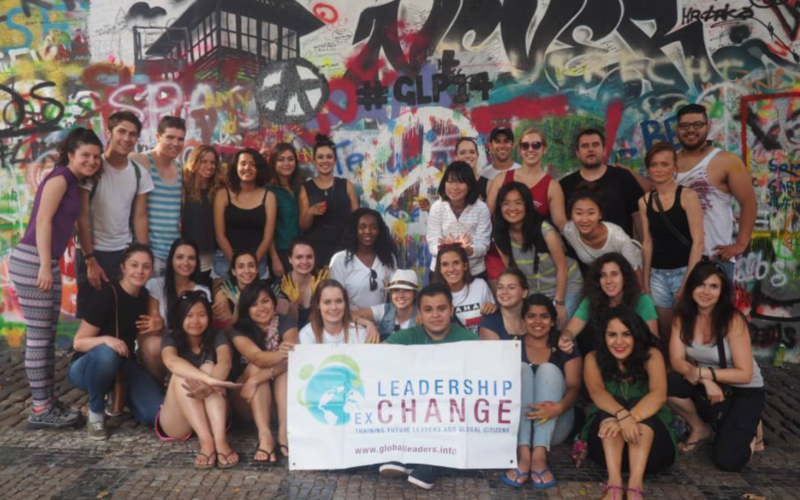 Over this past half a month or so I have come to love and enjoy the wonderful experiences shared with my fellow peers in the GLP Prague program. Here are a couple of reasons why I have been glad to be a part of this program and will continue to cherish and share these experiences in the future. GLP allows for developing openness to sharing cultural differences: What I have found prevalent more than anything is everyone’s willingness to share and explore each other’s cultural backgrounds. Coming from a very homogenous culture in America, so many of the discussions are focused on how people are similar, and it is very rare that I feel comfortable speaking in these kinds of contexts. However, in the first couple of days of this program I noticed that all of my conversations dealt more with how we were all different. Finding differences in other cultures and mentality did not divide us as a group, but in fact brought us together. Being able to openly share and discuss differences with everyone has never felt so refreshing and apart of the norm, and because of this it is definitely one of the top reasons of why I have come to love GLP. GLP changes conceptions of how you look at and define “Leadership”: One of the more interesting academic-based aspects of GLP is how people in the program have defined ‘Leadership’. Not only has leadership been discussed and talked about on a macro-level by looking at each of my peer’s leaders in their own country or in the business world, but we have also looked at our own individual leadership skills. And from this I think a general consensus from people in the program is to view leadership not as a trait you are born with, or a static concept to be defined. Rather GLP highlights that understanding leaders throughout the world and what this means for their followers, the world, and us (potential future leaders). GLP gives you opportunities to travel and explore: On the more adventurous side of the program, there is time built-in that everyone has on the weekends to travel and explore the country one’s program is in and surrounding ones. For instance, this past weekend three others participants and I (Kayla Mcdonald, Sean Berry, and Alame Doherty) took an amazing weekend trip to Budapest, Hungary to visit and get a taste for Hungarian culture. Having no expectations or recommendations to go off of, I traveled blindly and came out amazed. Never before had I encountered such a beautiful and culturally rich city. And on top of grandeur of the city itself, we fatefully came during the yearly Krishna festival, an amazing spectacle of religious celebration that was equally alluring and entertaining. Had it not been for GLP this trip would have never been possible, and for that I am also immensely thankful for this program. Overall, GLP has provided so much insight and experience so far that it just keeps me craving and wanting more.